The Embrace free standing oval tub is a charming, traditional, yet functional air tub that blends well with any bathroom décor. 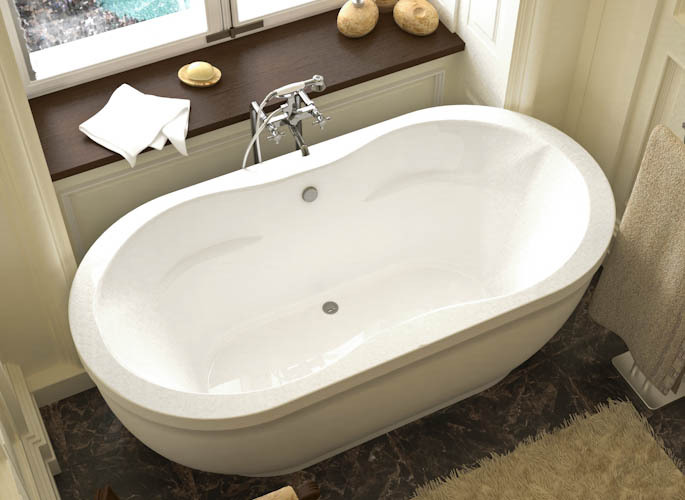 The Embrace is available as a soaking tub, air tub, whirlpool tub or air/whirlpool combination. Call 800-720-1062 for more details. 36" x 71" x 23"